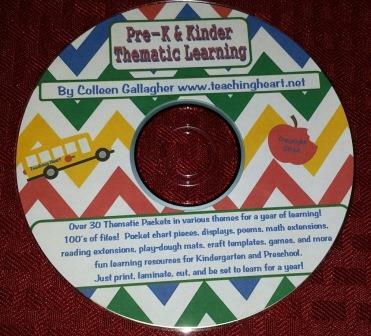 All Content contained of the pages within this website is copyright Teaching Heart 1999-2014 by Colleen Gallagher, all rights reserved. We give you the permission to download, print, modify, and generally use the written material contained herein, we do ask that you respect our rights and not publish any material on this site without prior written consent. Please do not copy and paste content from this site onto your site. Thanks! Hello and welcome to Teaching Heart. If you are looking for teaching ideas, printables, inspiration, links, lessons, units, activity sheets, and so much more - you are at the right place... I have designed this site as a learning tool for myself and as a helping tool for other teachers who love teaching children as much as I do. I am very grateful to the sharing and caring teachers I have met online. I hope this site gives back to all sharing teachers with a Teaching Heart. Proud to be a #1 Teacher Resource for over 10 years!!! LOOK Must Have Teaching Heart Products! Great For Spring Teaching k-2!!! Following Direction and Listening Skills! Ocean Classroom Forms and Decor. St. Patty Day Print and Go Games! Fairy Tale - Three Little Pigs Fun! Instant download after payment! Trust Teaching Heart! Teaching Heart has been selling great products to happy teachers for over 10 years! contest information, and updates to the site!!! to be the first to know about new CD's & Packets. Huge Bundle of Resources on DVD-ROM!!! Over 30 Thematic Packets in various themes for a year of learning! 100s of files! Files come to you via US Mail on a DVD-ROM. Just stick in your computer and print 100's of resources and prinatbles activities for your classroom. Pocket chart pieces, displays, poems, class manipulatives, math extensions, reading extensions, play-dough mats, craft templates, games, and more fun learning resources for over a year of learning fun in Kindergarten and Preschool. Activities are based on Common Core Standards in Preschool and Kindergarten. Just print, laminate, cut, and be set to learn for a year and beyond! Sold seperately you would pay over $280.00 for this set. Purchase all the files together and save over $140.00. Be ready for a year of learning!!!! Link to us and win this! I love Amelia Bedelia books and read all of them as a child and as a teacher, I was sure to share them with my students. This book is super special because haven't all Amelia Badelia fans wondered what Amelia Bedelia was like as a child? I know I have and this book shows Amelia as a first grader. This is the first time Amelia Bedelia has been shown as a child. With this great story we now know that Amelia started out silly and that is just the way she will always be. Ordinary first grade happenings become extraordinary with Amelia Bedelia's literal take on all things first grade. Teachers can see themselves in Miss Edwards. She is patient but knows when enough is enough and tells Amelia, after she has gotten out of her seat many times to, Please glue yourself to your seat. If you know Amelia Bedelia, you can guess what she does when Miss Edwards just wants her to stay in her seat. Students get a look at a fun filled day and will laugh out loud when Amelia Bedelia does what she is told. The pictures by Lynne Avril really compliment the text and make the story even more exciting. My son loved seeing Amelia Bedelia try to put her nose in a book because he hears me tell him to do that often. This would be a great first week of school read or a special book to share with your child the night before they start school. This would also be a fantastic gift for a new teacher. I love Amelia Bedelia and enjoyed seeing her as a child in this terrific picture book! Make sure you link to Teaching Heart to be Eligible for this Award! Get the Teaching Heart Mom widget and many other great free widgets at Widgetbox! I love all the emails sent to me offering kind words and suggestions. I read each one and I try my best to answer emails sent by guests (cgallagher_1999@yahoo.com). Unfortunately, with the many emails I get daily I am unable to keep up with replying to all emails. I do reply sometimes and encourage all to write. All the emails let me know that the site is used and my time spent on it is worth it. Just don't be sad if I do not write back! We were the site of the day on KGBT 4 TV Station on March 19, 2004! Teaching Heart is very proud of the graphics found on this site. If you like the graphics, please visit the sites below to learn how you can get great graphics like these!!! Many offer free graphics, but if you choose to purchase their graphics you will be more than pleased. I have purchased many sets and CDROMs from some of these graphic artists. Big Thanks! The graphics found on this home page were created specially for Teaching Heart. They are custom graphics done by Donna at Gone Country Graphics and Website Design. Donna does an excellent job & I would highly recommend her to those looking for custom graphics. She also has a few free page sets on her site. Click on her graphic below to visit her awesome graphics home. A great place for any classroom website! to provide a means for sites to earn advertising fees by advertising and linking to amazon.com, endless.com, smallparts.com or myhabit.com.